The words “remaster”, “remake”, and “reboot” have always been controversial terms in the gaming industry. That’s mostly because it’s been used to describe games that simply get a new polish (usually from SD to HD or HD to UHD) and those who have received a complete overhaul, for better or worse. What’s even more frustrating is that it’s sometimes hard to separate the two simply by having a look at the visuals and the glossy new packaging. Although it’s fairly rare, there are some who have benefited from these re-releases, think Shadow of the Colossus. 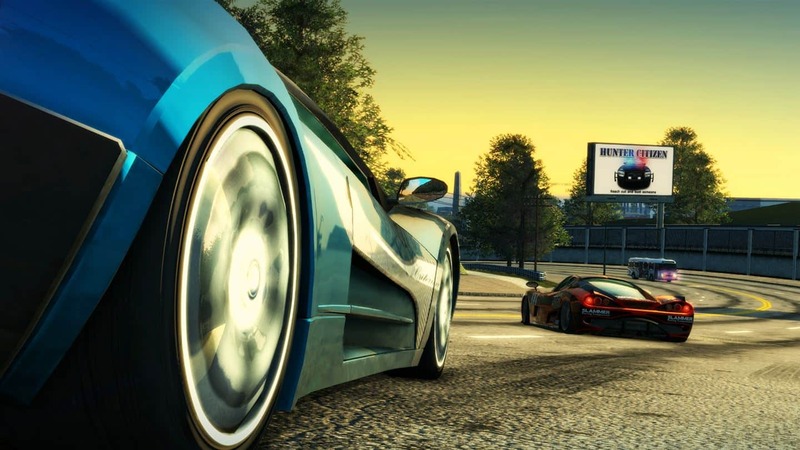 Sadly, while Burnout Paradise Remastered proves that the game still holds up today, it offers nothing more other than being a port for modern consoles with a new lick of paint. Fans who have been waiting years for a new entry in the franchise will be disappointed. There’s a current trend in the gaming industry to re-release games with their DLCs once a title has had a full run. With Burnout Paradise Remastered, EA does the same. They’re repackaging a game you played in 2008 on the PS3 and Xbox 360 with shiny new 4K graphics at 60fps with all the extra content you really weren’t sure you needed. In fact, when you first slip in the disc, your brain won’t be able to tell the difference between this version and the one that came out ten years ago. In your mind, they will appear the same. However, after doing a Youtube search on the classic racer, you’ll realise that the graphics are remarkably better. The difference is fairly noticeable. Still, it is nowhere near as polished as today’s racers, like Forza Horizon 3. Even with the updated textures, there’s simply no comparison. Gaming, specifically racing games, have come a long way since the original game was released. The real question then becomes whether or not you’re willing to pay full price for a game (that offers absolutely no improvements) that you could easily pick up at a quarter of the price on the PS3. 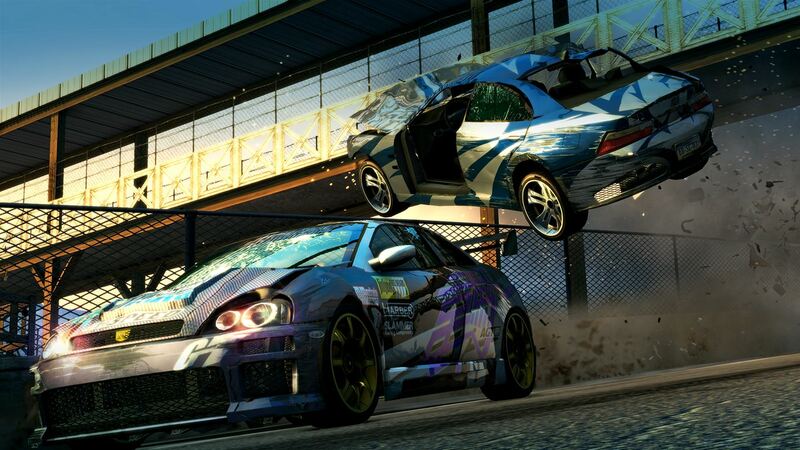 If you missed the game when it was first released, however, Burnout Paradise Remastered has a lot to offer racing fans who have never roamed around Paradise City and Big Surf Island. It still remains one of the most fun racers all these years later. Nobody makes arcade racers like this anymore. 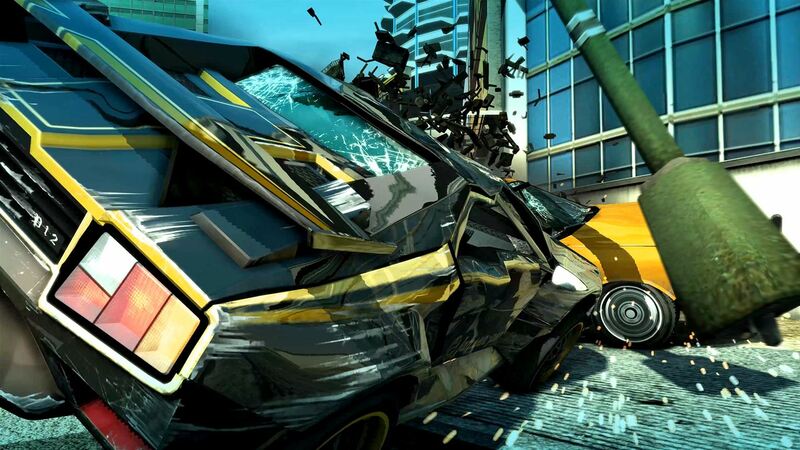 For the uninitiated, the much-loved game takes place in an open-world where you must race and crash to earn points in order to achieve your Burnout Elite license. These races (135 events) include the basic point-to-point racing, as well as stunt events and time trials. There is a refreshing sense of freedom as you roam around the city at lightning fast speeds and get rewarded for metal crunching crashes that play out in slow-motion. You’ll even be forgiven for thinking they are scenes cut from the Fast and Furious movies. While more recent racers may have many of us acclimatised to a fully-functioning career mode, that’s not available here. Instead, the game focuses solely on the plethora of challenges and showing off its long list of racing vehicles (which, thanks to the expansion packs, include Ecto-1 from Ghostbusters, the DeLorean from Back to the Future, and KITT from Knight Rider). Scattered across the town, there are secrets to discover, gates to smash through and alternative routes to find. The emphasis here is on racing and fun. Nothing more. If racers are your cup of tea, then it will be hard to resist purchasing Burnout Paradise Remastered again. As mentioned before, it remains fun even after all this time. That said, there are more polished titles out there at the moment. Also, you can’t help but feel that EA has once again done fans in with this release. There seems to be very little effort put in to make it better or worthwhile.